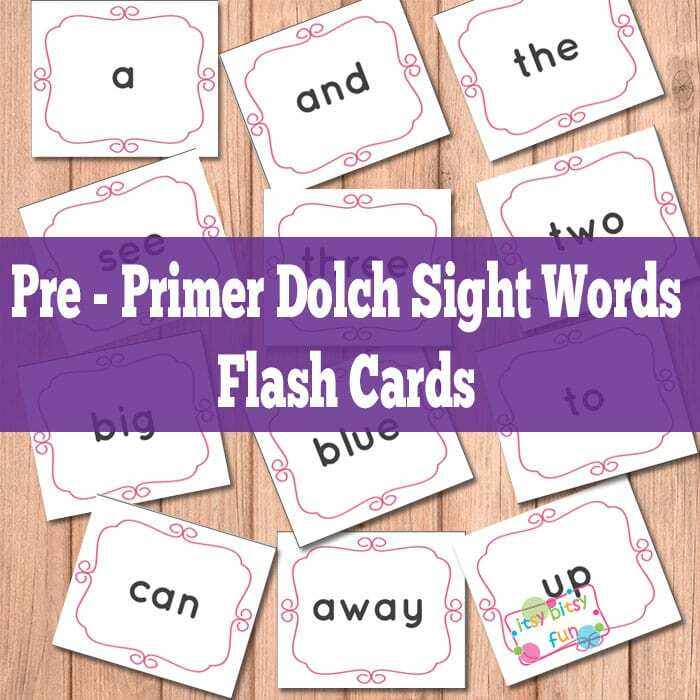 There are many different ways you can teach Pre Primer Sight Words, flash cards being one of them. Now that alphabet flash cards are way past your kids it’s time to work on these 40 pre primer sight words. Most of these words can be sounded out (contrary to the popular belief ha!) so you don’t actually “have to” teach these as sight words. However as these words (along with other sight words) make a large percentage of all English texts being able to recognize or read them easily is a great advantage. 7 pages with sight words – 6 on each page (last one has 4) – a total of 40. If you print these twice you can also use them as a memory game which is another fun way of learning (might be even more effective). To give these cards more longevity (and thus making them more eco friendly) laminate them. That way you will be able to use them with your younger kids when they get older (if you have them or plan to have them) or gift them to friends. 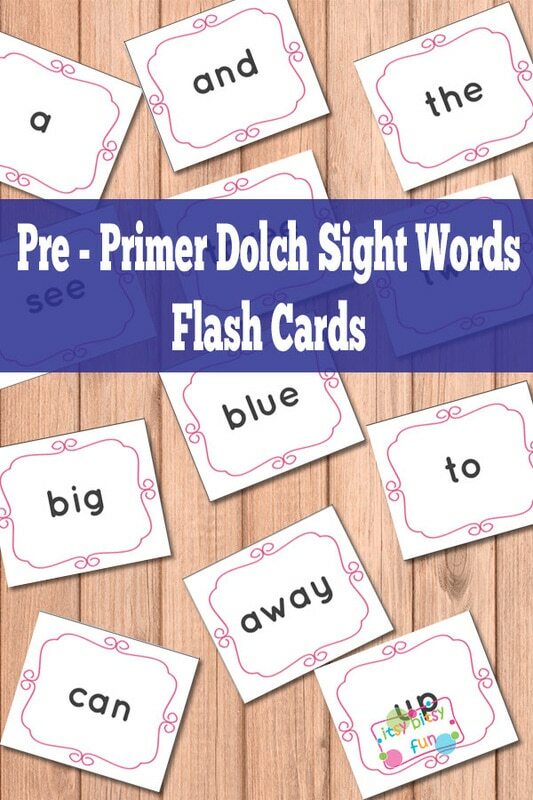 Get these free printable Pre Primer Sight Words Flash Cards here.